Thanks to modest increases from midsize cars at Chevrolet, Chrysler, Hyundai, and Nissan, America’s midsize car category didn’t decline as sharply as the overall passenger car sector in August 2015. U.S. new car sales slid by more than 10% in August. 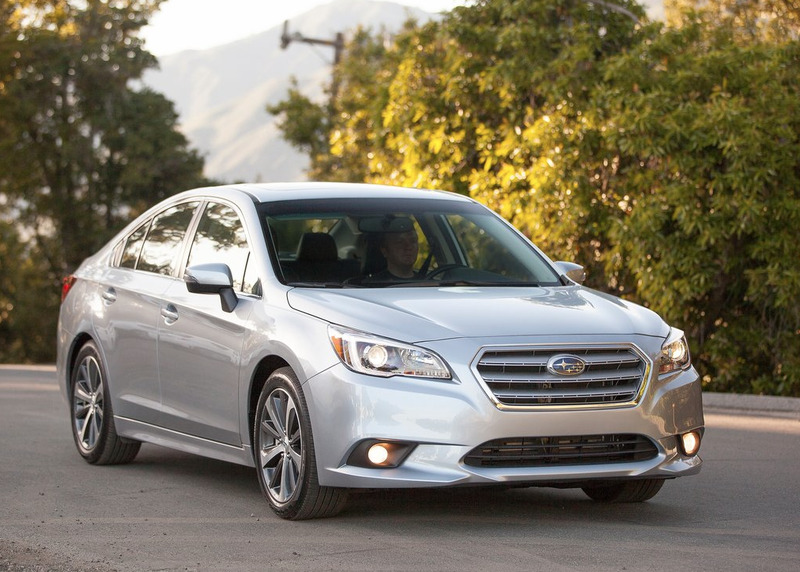 Midsize cars were down by less than 9%. Nevertheless, many of the most popular players, from August’s best-selling Honda Accord to the year-to-date leading Toyota Camry and steady 2015 risers like the Mazda 6 and Subaru Legacy, posted marked declines. The segment lost 21,000 sales compared with August 2014 but was only slightly south of level with August 2013’s output. 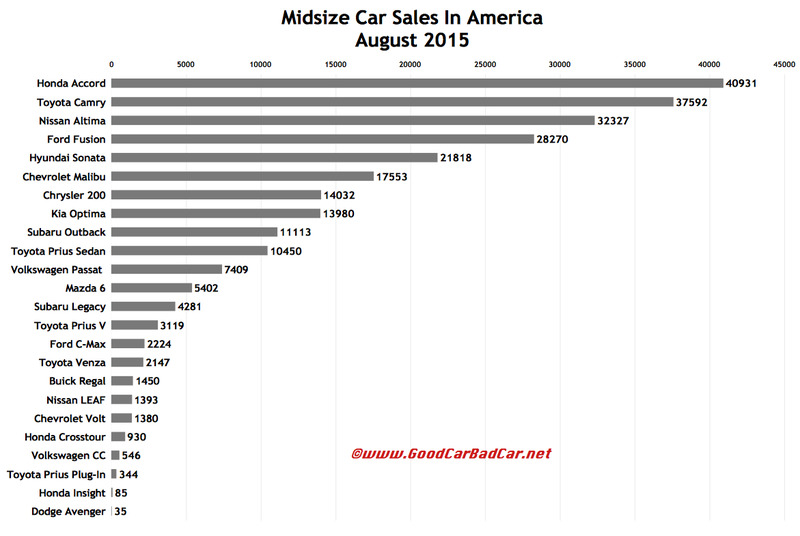 It should be noted that, as a sales month, August 2015 wasn’t equal to August 2014 from a timing perspective. There was one fewer day to sell new vehicles this August than there was a year ago, and sales that automakers traditionally rack up over the Labour Day holiday weekend were attributed to August 2014’s total, but not to August 2015’s. 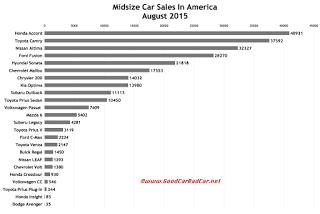 From a daily selling rate perspective, midsize car volume was down 5% in August 2015. You can click any model name in the tables below to find historical monthly and yearly U.S. auto sales data. You can also select a make and model at GCBC’s Sales Stats page. These tables are now sortable, so you can rank midsize cars any which way you like. Suggestions on how GCBC should break down segments can be passed on through the Contact page. GCBC isn’t here to break down segments, an impossible task for any group, but to display sales data for the sake of comparison. The more ways sales data can be displayed, the better. This explains why you’ll see the Outback and Venza listed with midsize SUVs, too… because readers have wanted it both ways. You can always find the sales results for EVERY vehicle and form your own competitive sets by using the All Vehicle Rankings posts.